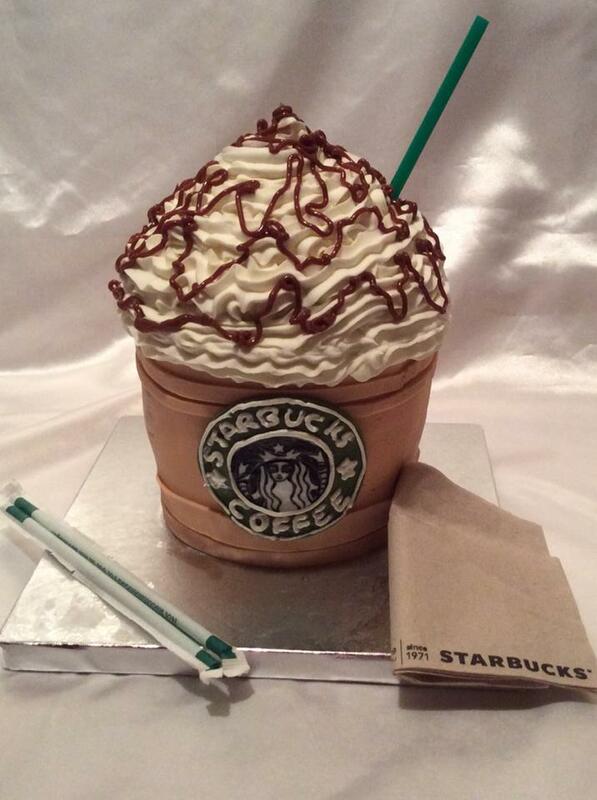 Hello to all my cake friends. 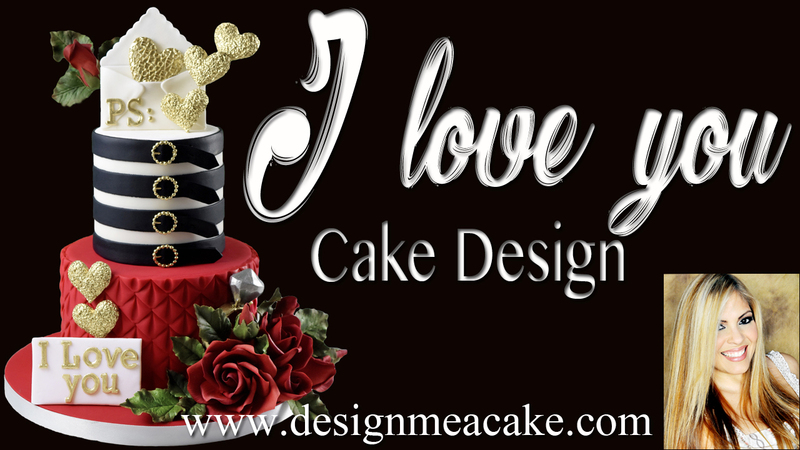 In two weeks I will be attending the ‘That Take the Cake Show‘ being held at the Round Rock Sports Center in Round Rock, TX., where I will be teaching a 3 hour class with my great friend Karen Vazquez on February 26th, 2016 starting at 5:30 pm. The show itself starts Saturday, February 27th and ends on Sunday the 28th. 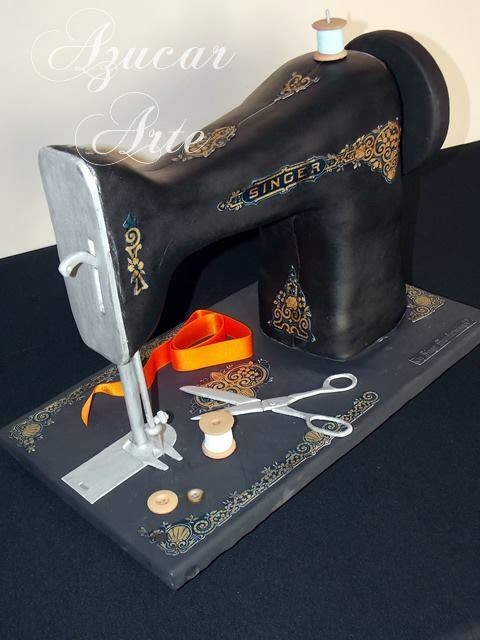 This show is one of the best cake shows and I finally have the chance to go! 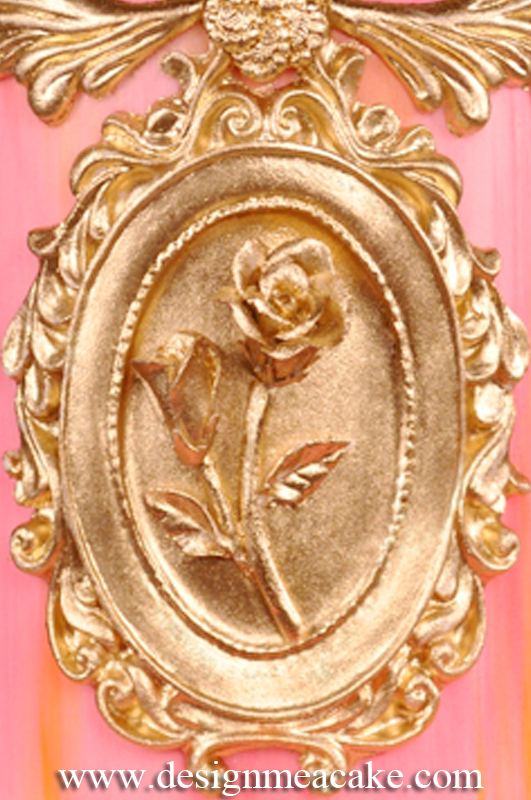 The theme as you can see represents the 17th – 18th century baroque style. Consisting of the dramatic exuberance of colors from today while bringing out the profound ornate elegance of the many fine detailed golden miniature flowers, swirls and pearls. The class will be separated into 2 part class for the 3 hours. 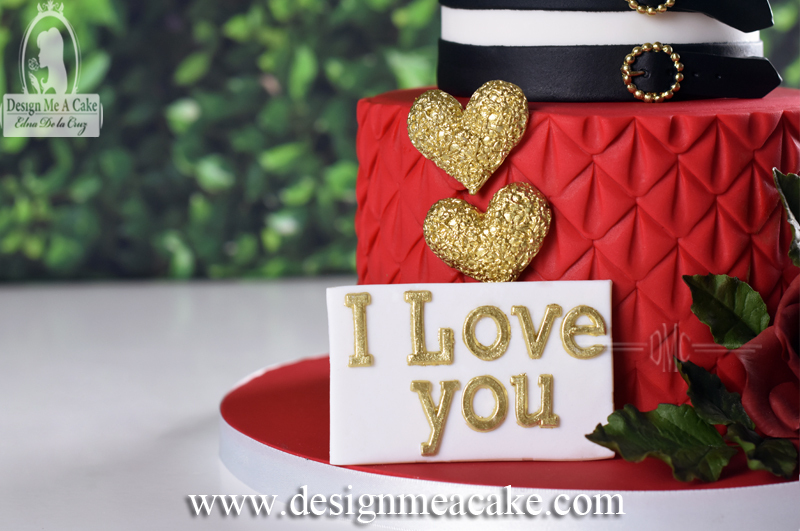 Karen will teach the students on how to create the beautiful blend of colors on the cake, and I will teach how to accessorize the cake so it shines! Gumpaste flowers can be time consuming, so you can imagine how much time it would take to create a dozen miniature flowers using cutters. Luckily for the class, I will educate the students on how to create this beautiful miniature flowers without the use of cutters. 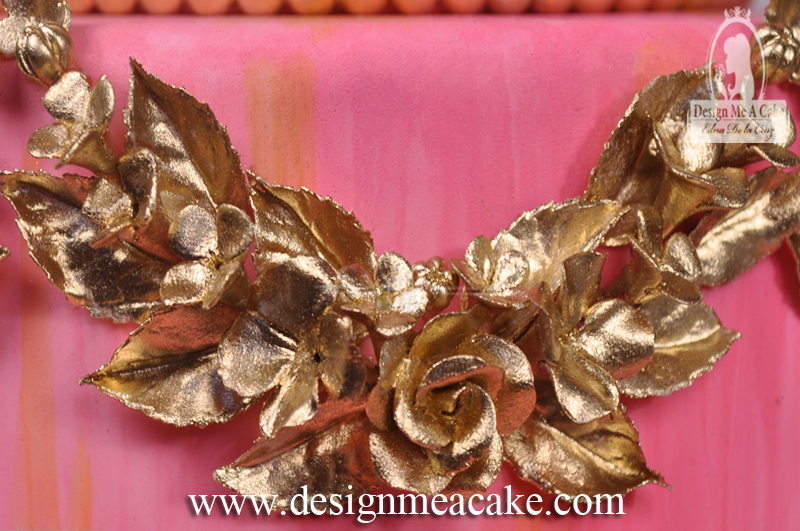 This, way I can move faster when decorating the cake and still accomplish that quality that the clients expect from me. Also, I may mix freehand petals with cutter petals to give the class different approaches so they can choose what works best for them. Small blossoms are actually the simplest blossoms to create. These flowers are great fillers for gumpaste flower arrangements. Bigger blossoms have more delicate petals needing just a few more steps to complete them. Once you know how to make this flowers, you can make beautiful arrangements with them like the swag in the photo above. 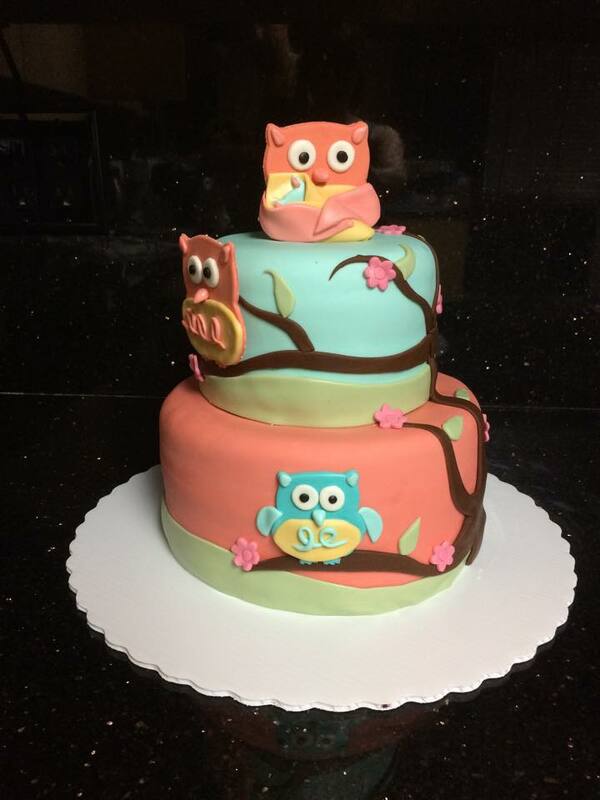 Since the class is a 3 hour class, we won’t be able to do a 4 tier cake, so we will have to make a one tier cake that includes the main parts of the design. 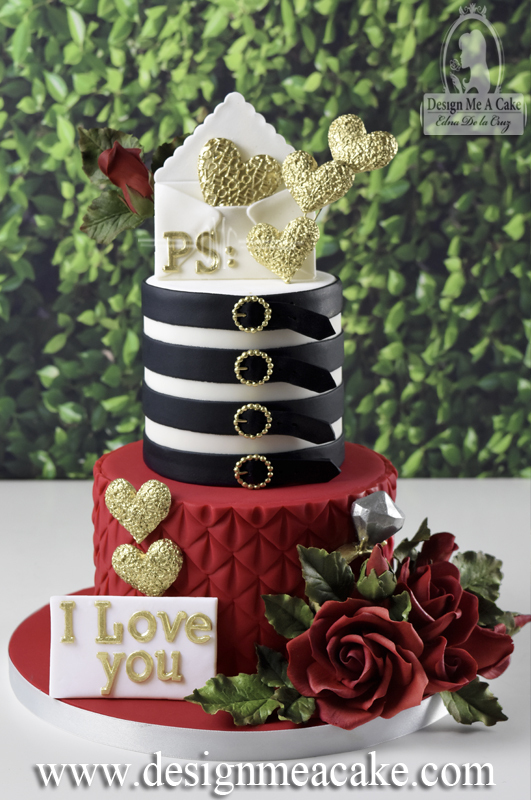 Because of the limited time, this means that we will only be able to teach you how to paint the cake, create the oval frame, do a couple mini roses along with the leaves. 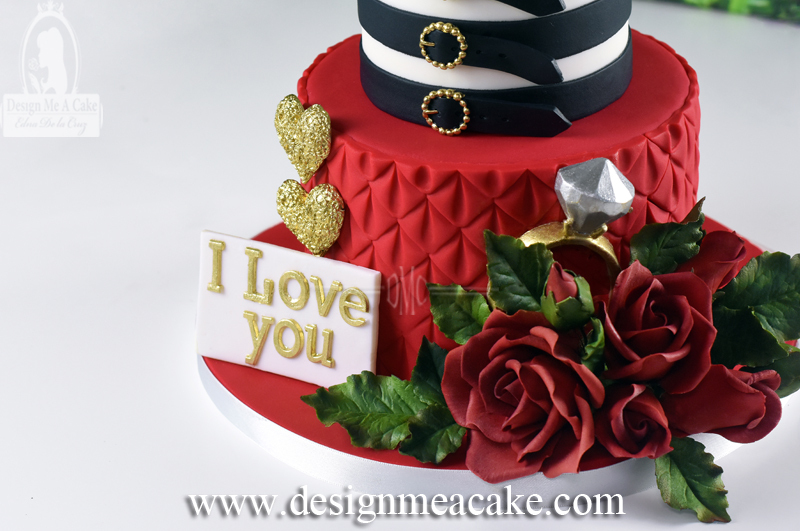 This way, I can demo the rest of the details in the cake for the class so that everyone can see the outcome on how to create this gorgeous creation. If we have time, I will also include a free demo a full size rose. 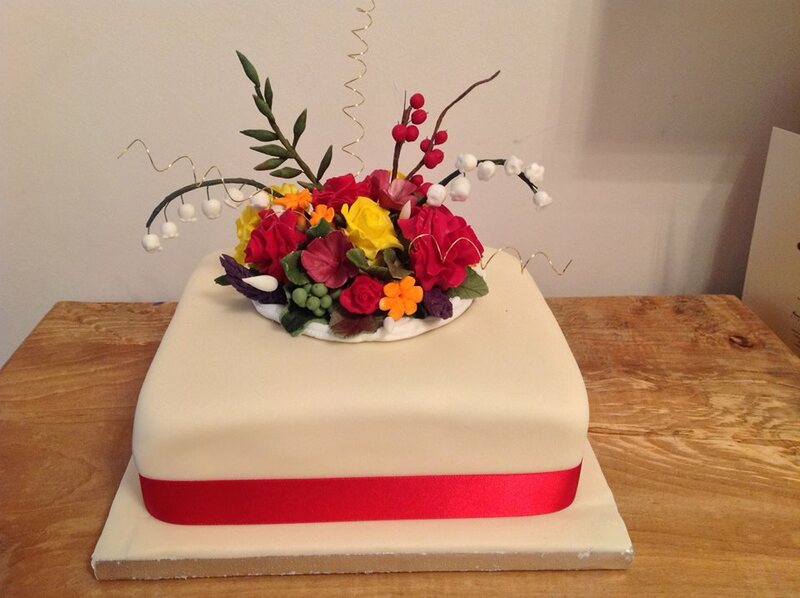 With what you learn on the class you will be able to do the 4 tier cake shown above, on your time in case we run out of time here. One must not take haste when creating art, for it expresses the true identity and intent of the artist themselves. If you are interested in the class, click here. 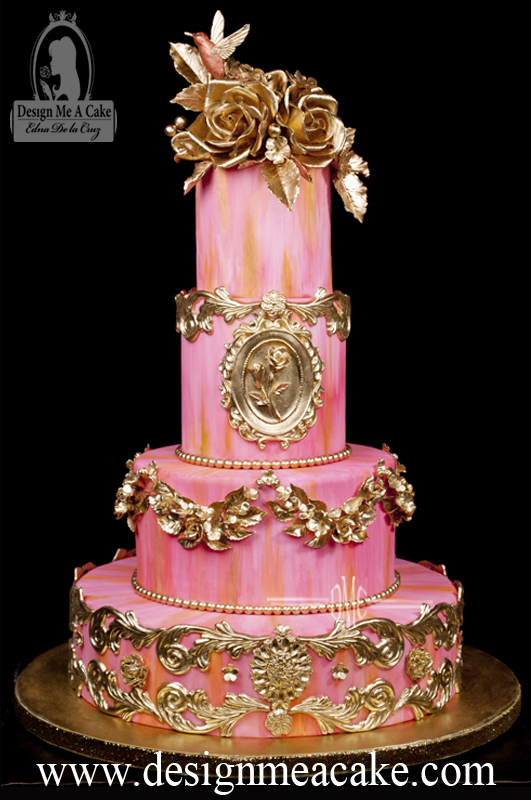 ‘That Takes the Cake Show’ is one of the best shows in the country. That Takes The Cake website. Hope to see you there, ta ta! Para Blog en Español presione aquí. a tutorial and they said yes! For this particular flower you will need 2 five petal cutters. I used the 2 biggest ones on this PME 5 Petal CutterSet. The flower is not difficult to make. 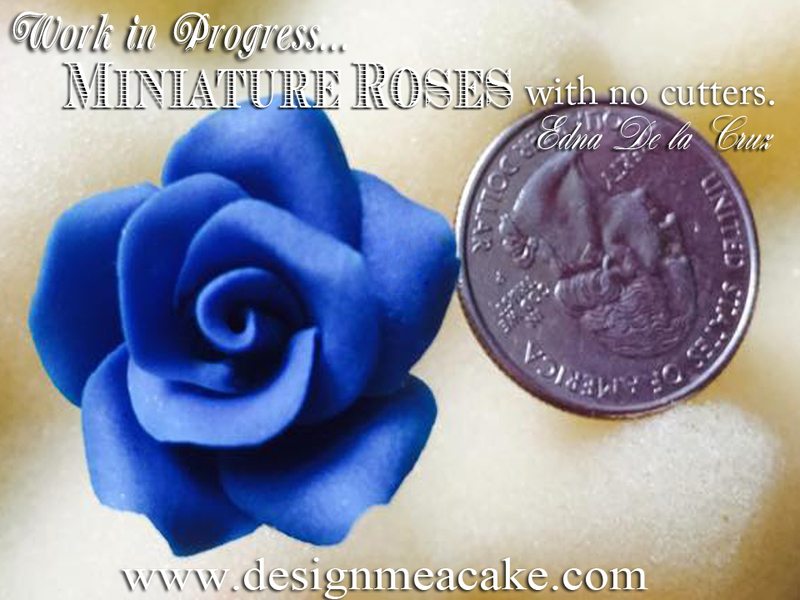 If you are not used to making gumpaste flowers, this is a great way to learn. fast. Spending too much time in a single detail is not a great idea when you are trying to earn some money. This is something I keep in mind when I teach. We want pretty and we want fast. I use that help me to move fast when I do tutorials. I used a Celformer to shape this flower. This is one of those tools that I love and make my flower making a bit easier. I cover them in foil so I can reuse the former as I dry the flowers I already made. do the petal dust in the tutorial because I wanted to show the simplified version of the flower. Some people will say this is a lot of work for a cupcake and yes it can be. So make sure to charge well for the work you do. 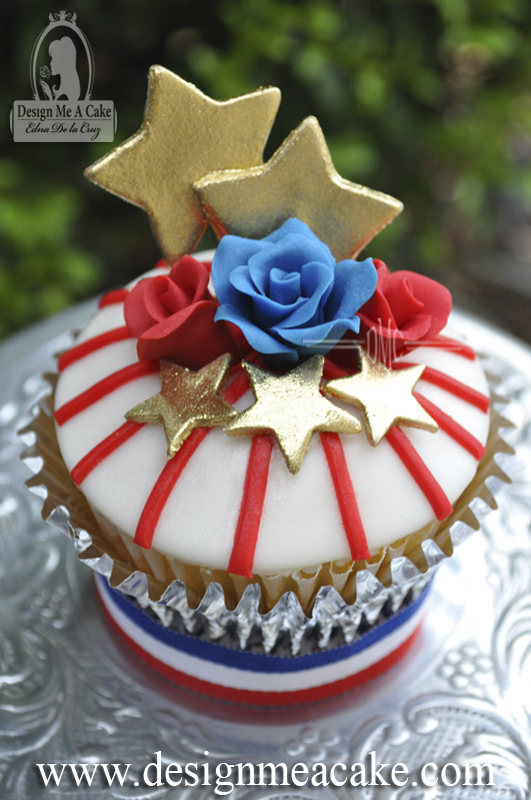 The other option will be to mix this cupcake with others that have a more simple design. 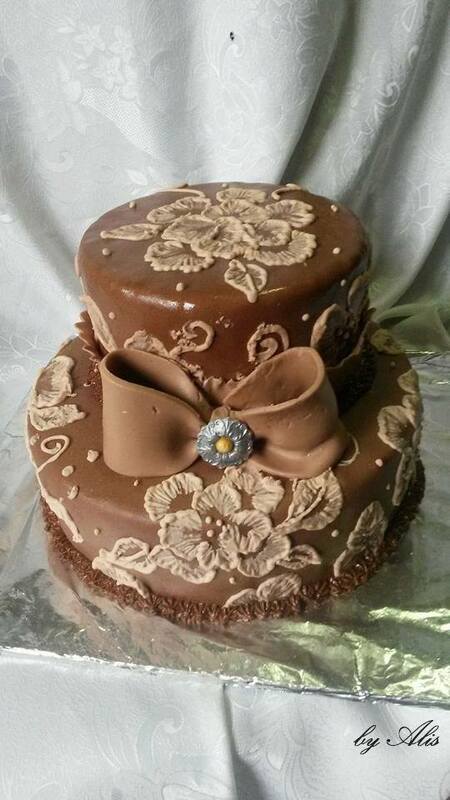 The flower can also be used in cakes. enjoy the Tutorial. Click on the photo to go watch full Tutorial. Every year I do a Christmas cake. It’s a tradition I keep and enjoy. I used to make decorated cookies. But for the past few years I decided to make a cake instead of the cookies. I miss doing the cookies but time will just not allow me to do both. cake. All the green letters are links to the products. Here is the naked cake. 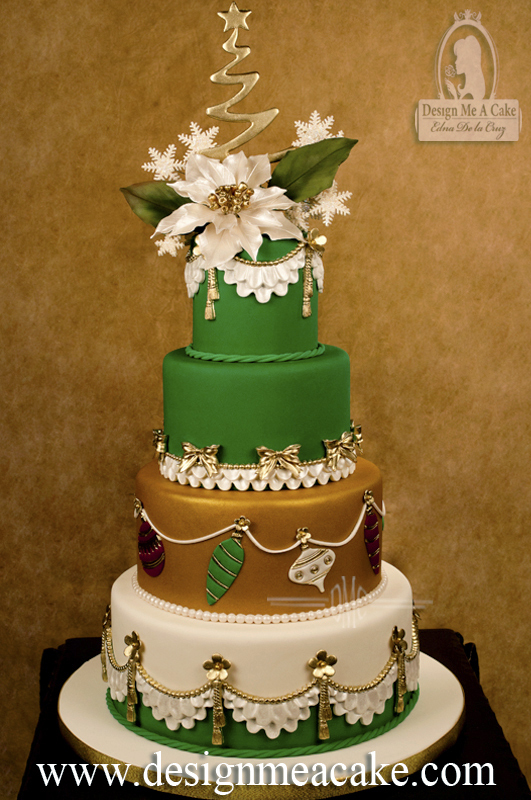 I wanted a Christmas style cake so I definitively wanted green in it. 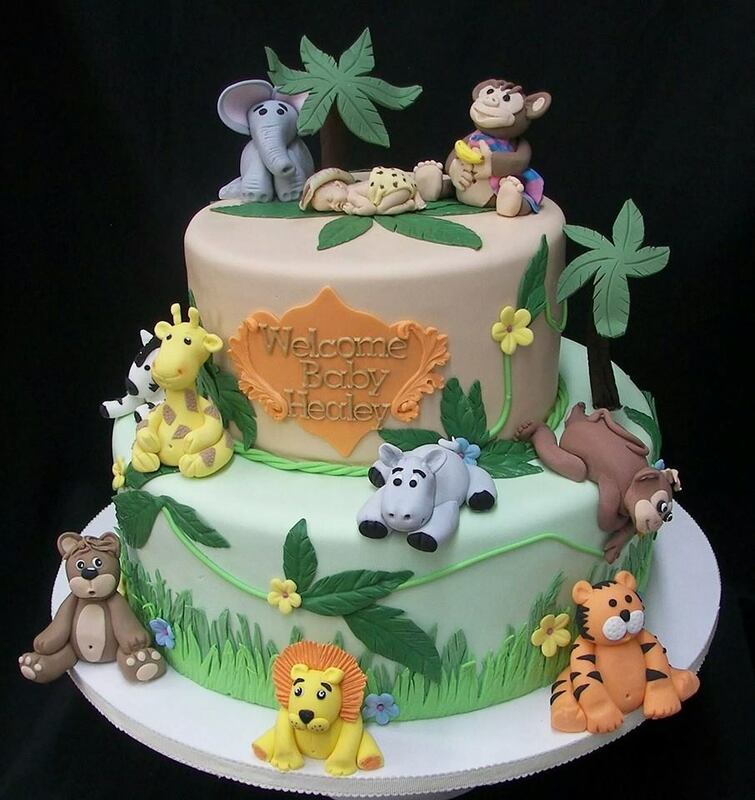 experience in baking and cake decorating. it was easy to work with. 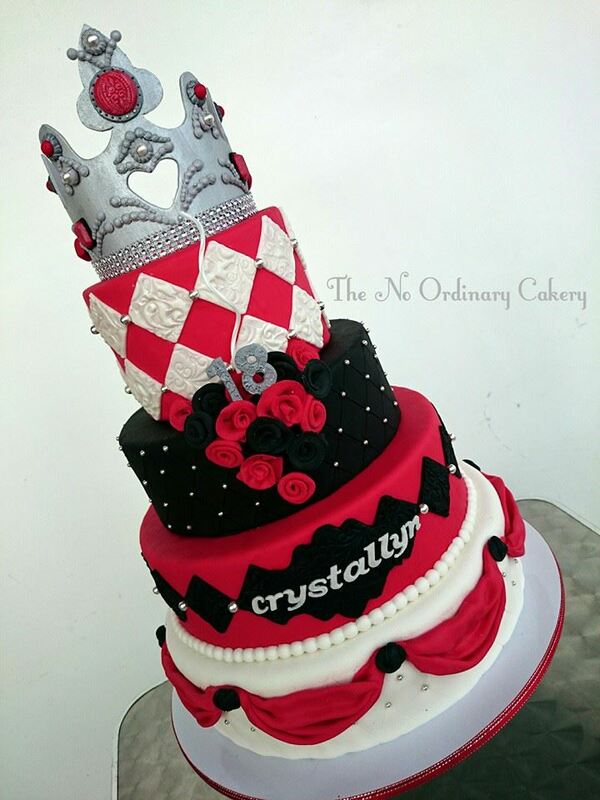 For the bottom 2 tiers, I used my homemade white fondant. I will post that as soon as I can do a video tutorial on how to make it. 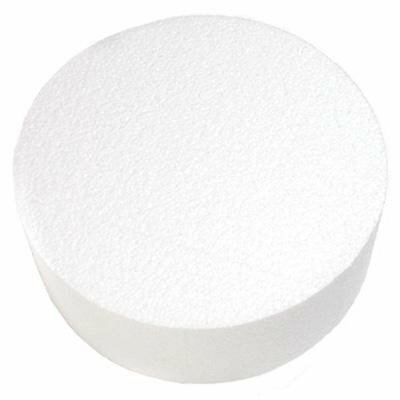 is too wet it will begin to dissolve the fondant. 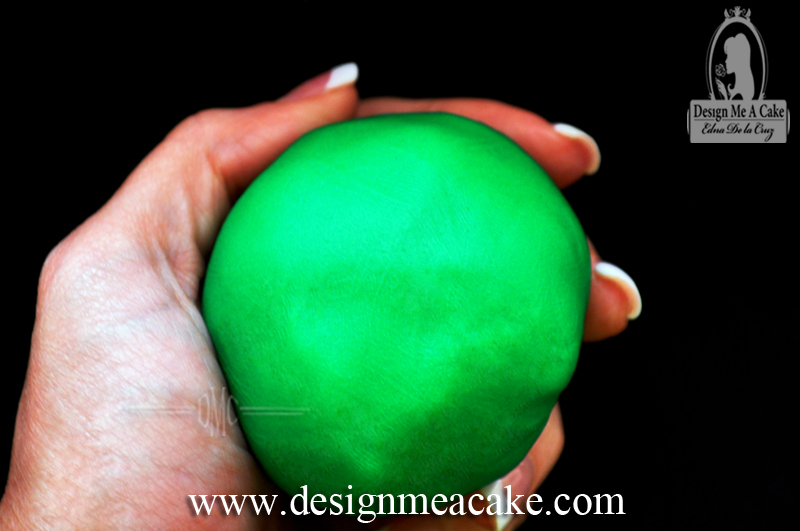 I suggest you give it a coat of color and let it dry in between coats to get a better finish. 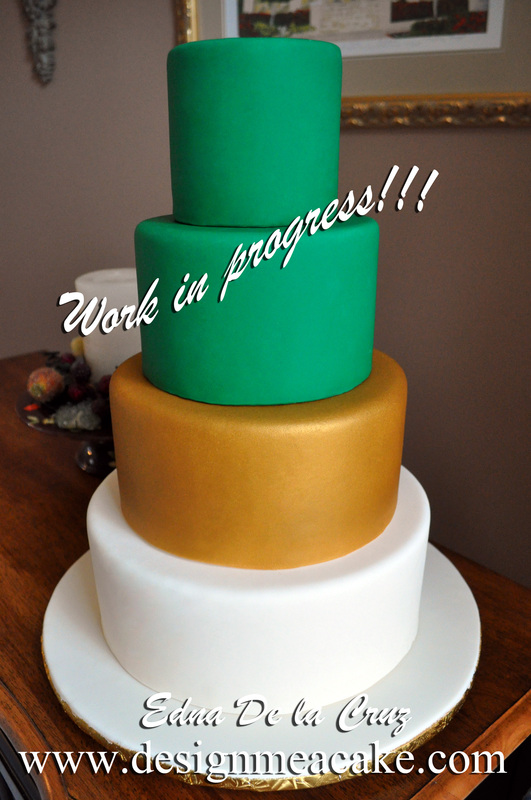 In between drying sessions I keep working with other details of the cake. This way I move faster. 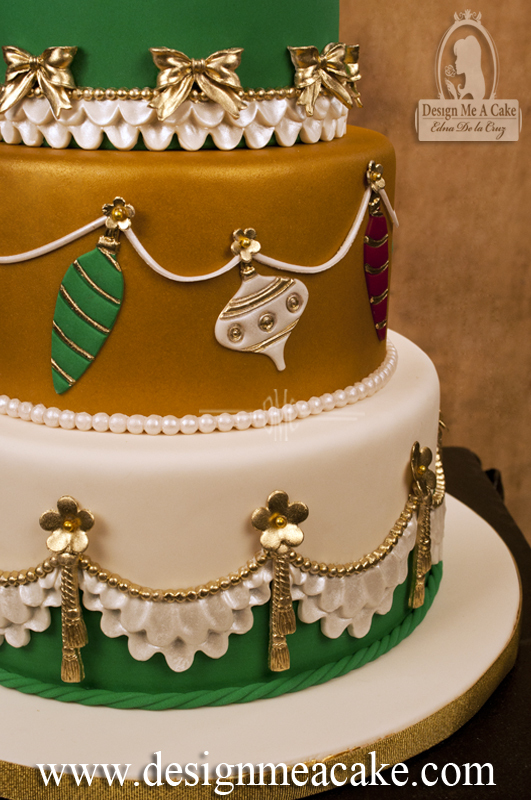 For the bottom tier, I did a band in green. and I cut the top part of the band in the same swag shape I was using on top of it. “The Ruffle Swag”. 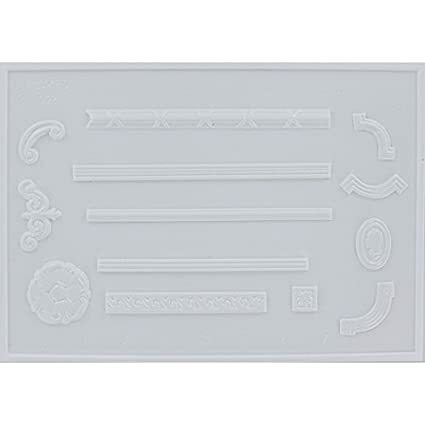 It’s from the company Marvelous Molds. 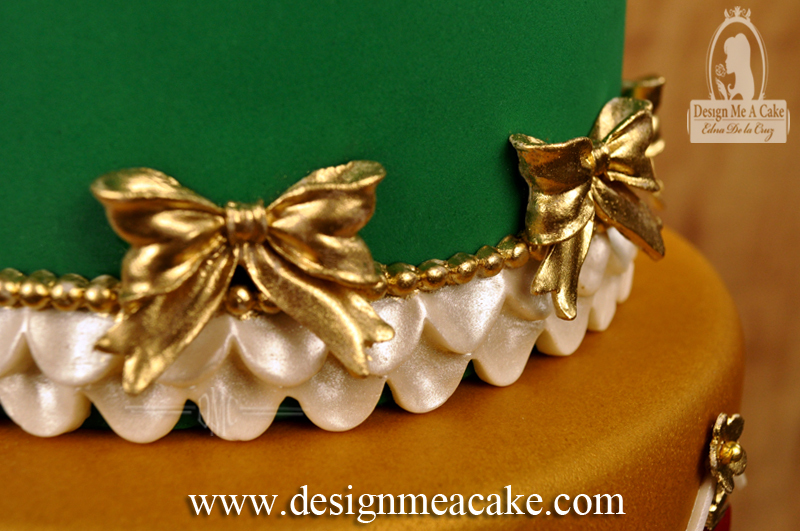 The mold has two layers of ruffles and is topped with a string of pearls. down before cutting the cake. 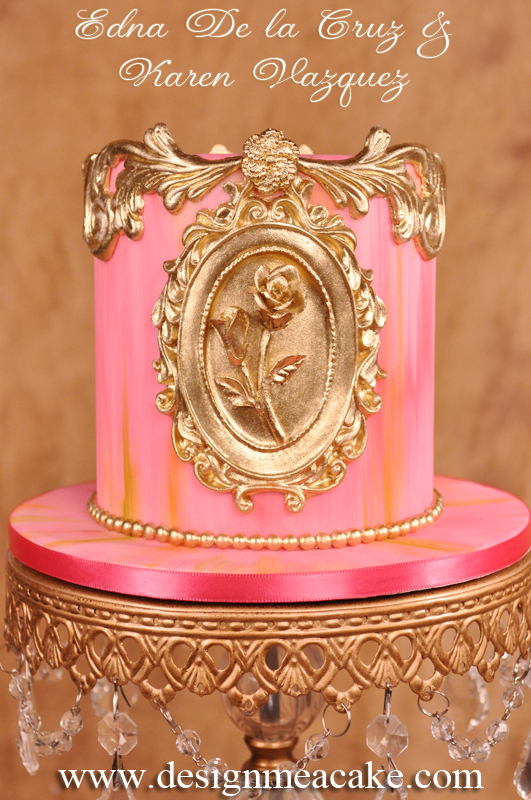 then you can either use edible gold leaf or buy 24 carat luster gold. This option is a bit more pricey, so I stick with airbrushing. In between the ruffles I added this mold. 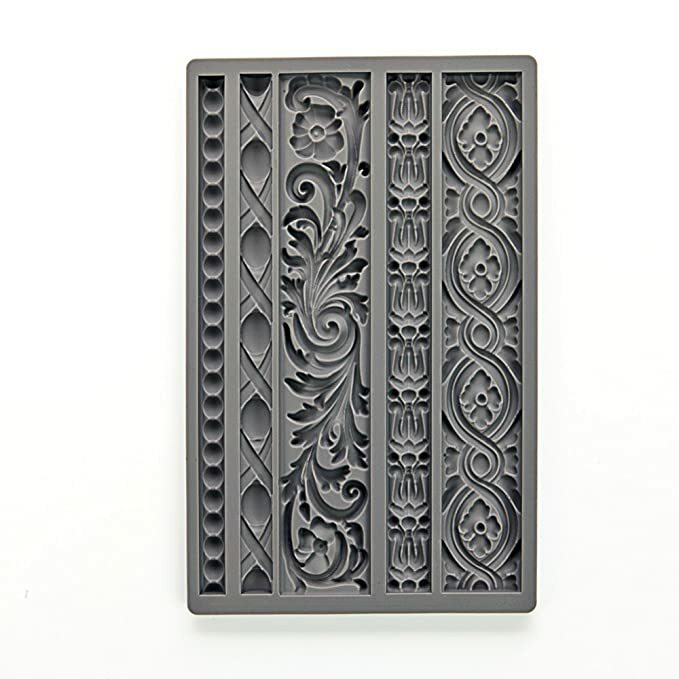 This one is called, “Grand Tassel Drop Mold”. This one I finished with the highlighter Gold as well. 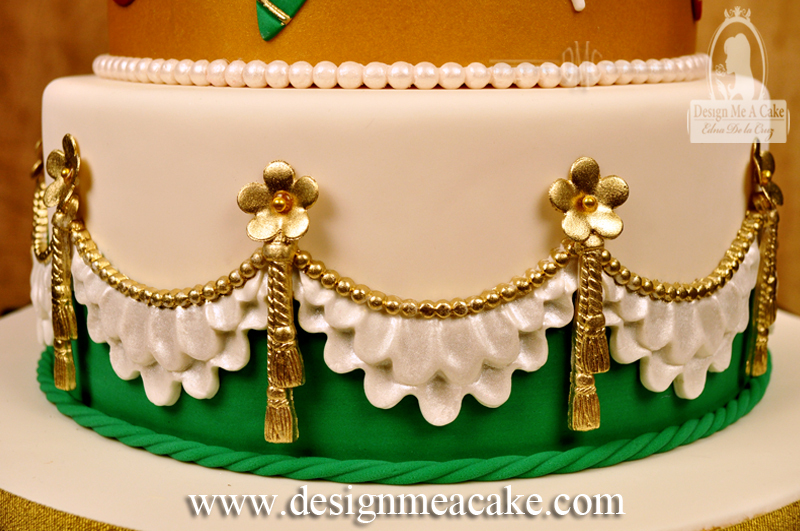 At the top of each tassel, I added a simple Blossom like the ones I made in my tutorial, “How to make Simple Blossoms”. 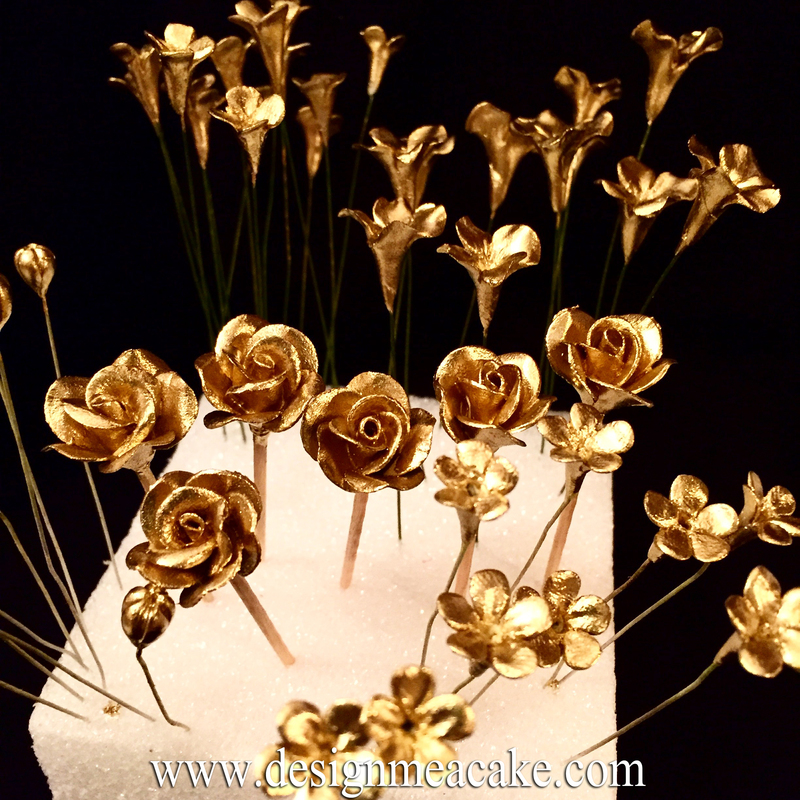 Watch the video above to learn how to make Simple Blossoms. 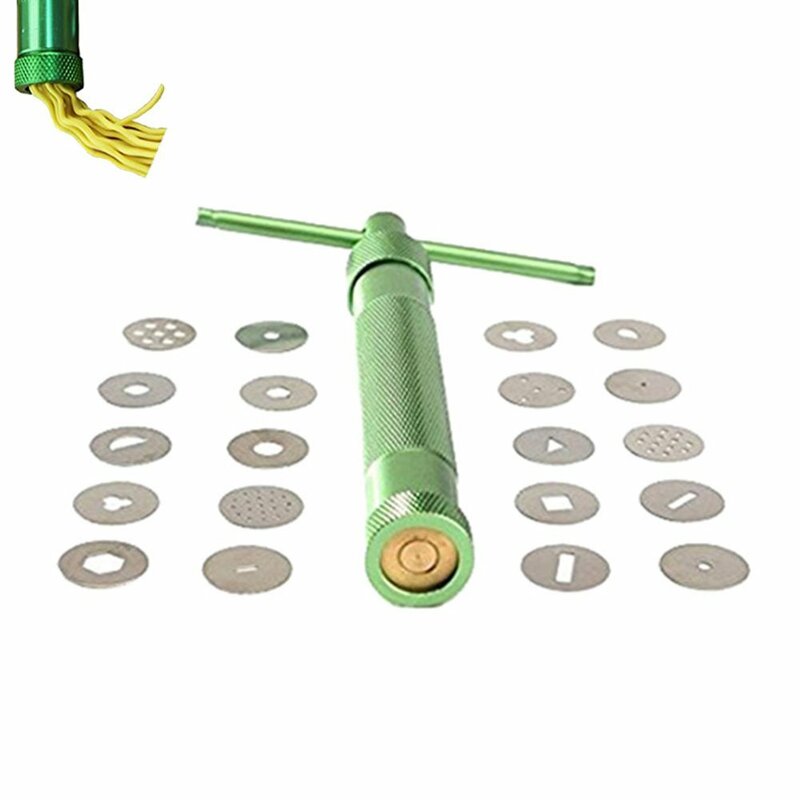 Click here for the Plunger Cutters. Click here for the Flower Former. On the tier above I used the “Ruffle Border”. one with Super Pearl Luster Dust. For the tier that I airbrushed, I added cutouts that look like ornaments. interested in them, feel free to leave me a comment below so I can order some. 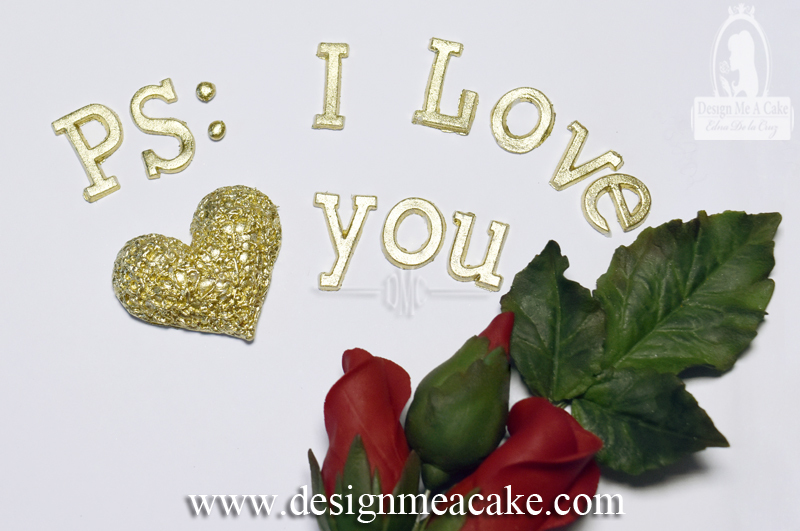 They are really easy to work with and I hand painted them with Gold Highlighter. have a color flow between all the tiers. For the topper I used a Poinsettia. 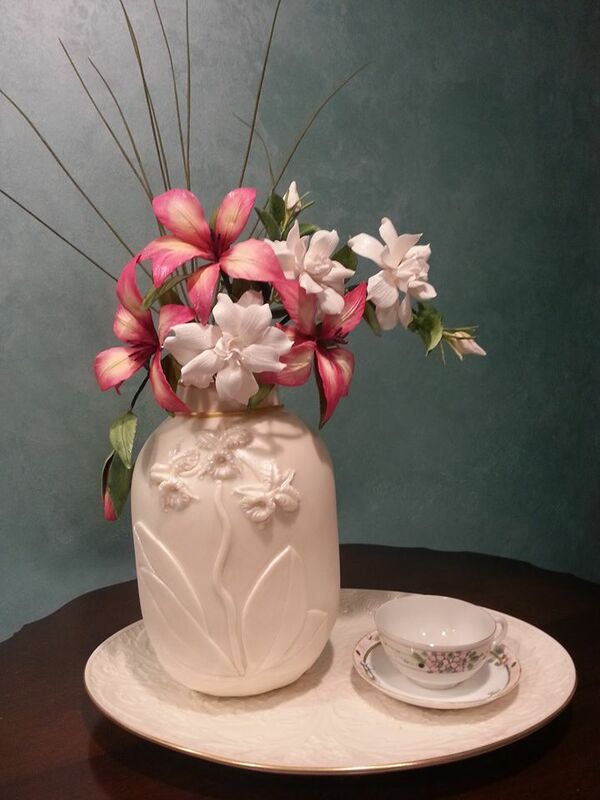 I teach how to make these flowers in my DVD, How to Make Gumpaste Poinsettia”. 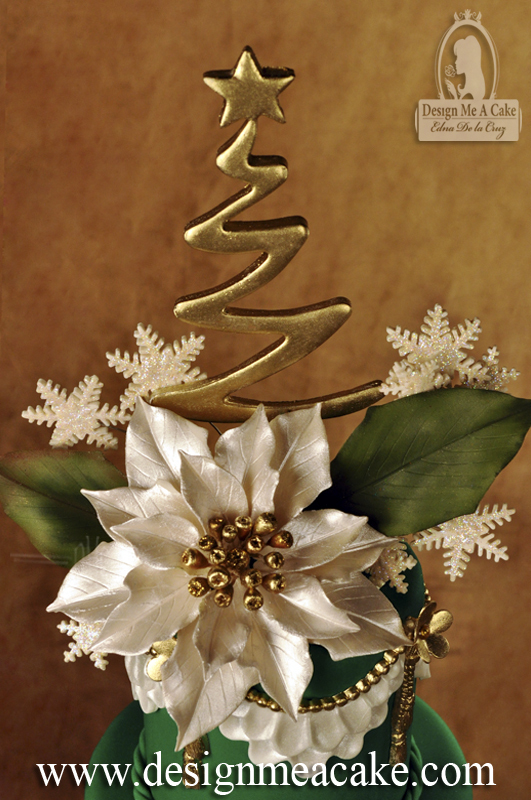 In the DVD I explain how to make fantasy Poinsettia like this one. I added some gumpaste snowflakes, finished with some disco dust and a cutout Christmas tree dusted in Gold Highlighter. The Christmas tree cutter is made by Ximena (click here for cutter). news for a new tutorial posted, or a special sale at the store or even a contest. Plus I plan to do more advanced tutorials too. to do either A video or blog, where I answer questions you have. post here or go to my Page in Facebook and post them there. 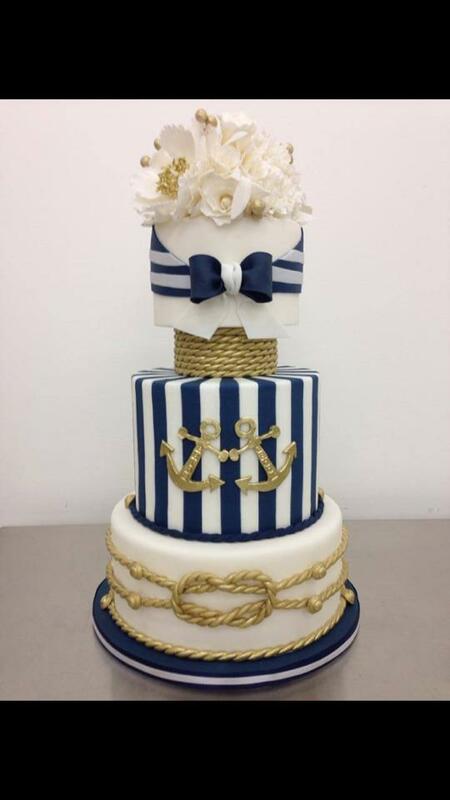 cakes you need time and practice. Giving up is not an option. Hope you had a wonderful New Year and wish you the best ahead. Lots of hugs from my house to yours. 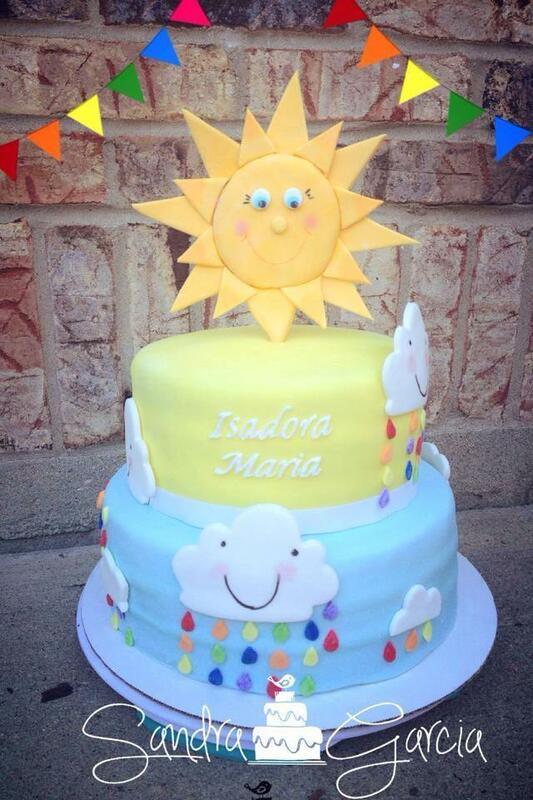 Thanks for being my cake family!